World Translation Center has its home office in Atlanta, GA and is well known in the Georgia business community. We provide translation services in Atlanta and throughout the state of Georgia into and from over 150 languages and ensure top customer satisfaction with every project. World Translation Center provides accurate and reliable document translation services, voiceover services, foreign language transcriptions and subtitling for Georgia businesses and government entities. We are proud to have partnered with some of the state’s largest companies to connect them with their audience and help them grow internationally by providing the ability to communicate effectively with their clients and international business partners. Due to its growing economy, the state’s population is always expanding and attracting many national and international businesses as well as talented individuals. Thus, there are many languages other than English heard in Georgia. The most common languages spoken in Georgia, other than English, are Spanish, Korean, Vietnamese, French, Chinese, German, and Hindi. 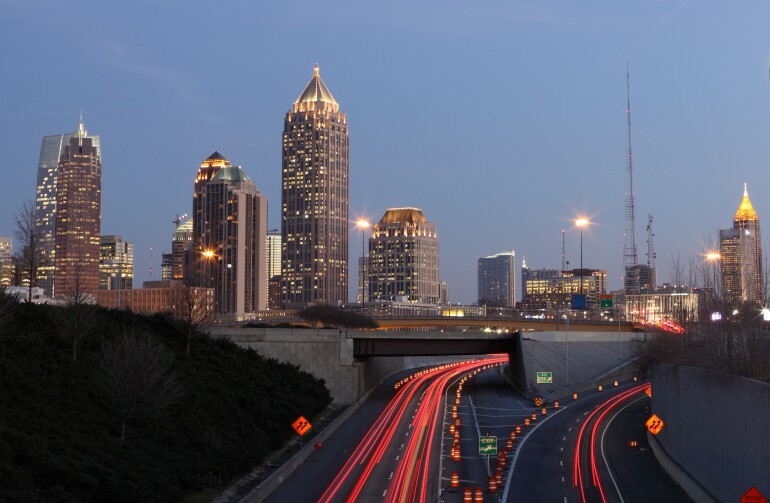 Many people move to Georgia to find work in one of the many industries in the state, such as agriculture, energy, film, automotive, and tourism. Georgia is home to many movie and music studios and films like "Sweet Home Alabama", "The Hunger Games", and "Water for Elephants" were filmed at least partially in Georgia. Some of Georgia’s largest employers are Coca-Cola, UPS, Home Depot, Delta Airlines, NCR, and Aflac. With such a large number of international visitors it is of utmost importance that Georgia companies partner with a reliable translation company, like World Translation Center, to assure that they can accurately communicate with their clients and partners. All of our translators are professionals with a deep understanding of all aspects of their language, including cultural differences. We work with all major languages and with many not so common languages like Nepali, Burmese, Karen, Tibetan, Ilocano, Galician, just to name a few. No language combination is too difficult for us to handle. We also provide voice recording services with over 2,500 voice demos of professional voice talents from over 150 countries for you to choose from. Our top-level services and dedication to perfection makes us one of the best Georgia translation service providers. World Translation Center focuses on quality, deadline and performance. Contact us below to let us know how we can help you with your next project.